Welcome to the IslandWood Garden! : Cooking up some Summer Camps with our Nature Chefs! Cooking up some Summer Camps with our Nature Chefs! This past week, the IslandWood garden hosted some very enthusiastic (and hungry!) 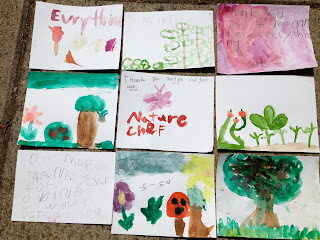 nature chefs. 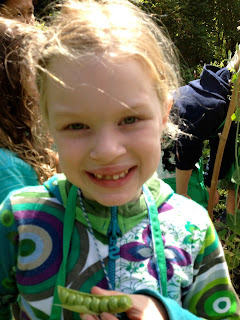 They harvested food from the garden and the woods, they cooked with the chefs and they ate delicious garden meals. One of our goals for the week was to teach our young chefs that food comes from the garden. And our kiddos learned that lesson very quickly. 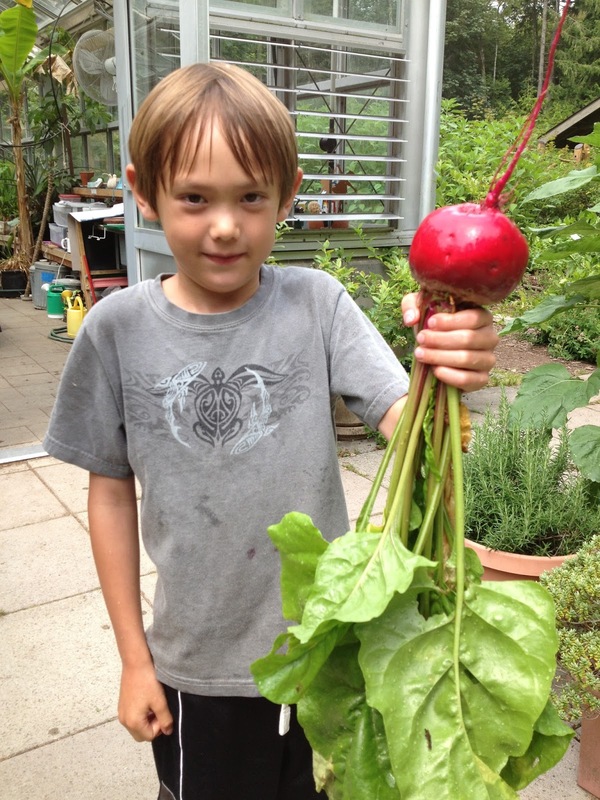 On the second day of camp, one young chef came running into the garden saying, "I'm sooo hungry! Can you please take me to the kale?" That is music to any gardener's ears. 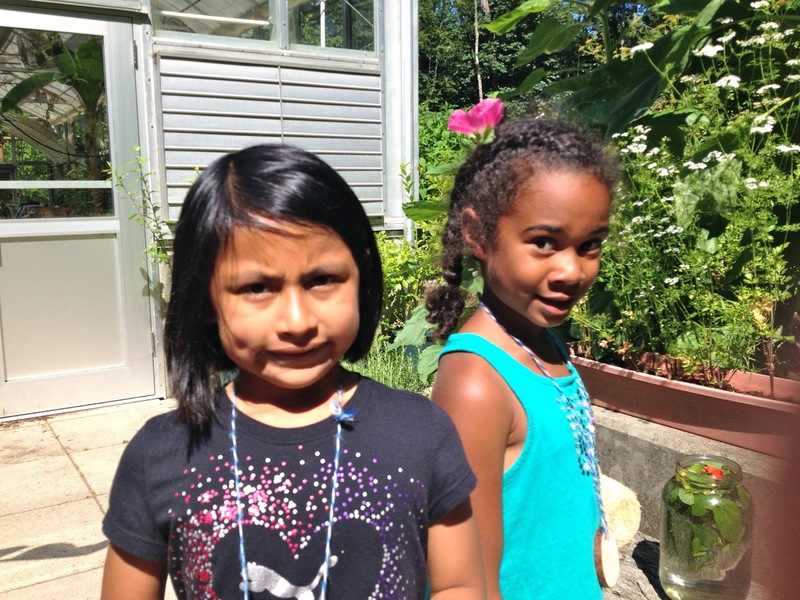 Our campers thoroughly enjoyed playing in the garden. Parachute men were made out of not-quite-ready tomatillos and snap dragon blossoms became dragon puppets, ready to eat someone's nose! And of course they ate and ate. By the end of the week it looked as though a herd of deer had nibbled and munched their way through the garden. 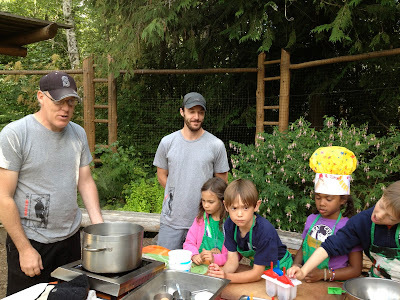 Chef John and Chef Morgan created an outdoor kitchen in the garden. 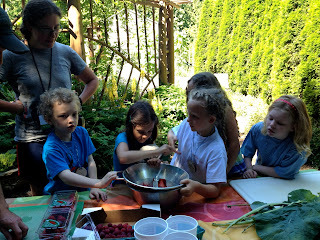 Here our young chefs created delicious garden meals, and learned some cooking skills. Edible garden flowers were added to the salad--Beautiful! Shaking the cream into butter...a task that takes many hands. Using the food mill to make the jam. Thursday: Potato Gnocchi with potatoes harvested from the garden and freshly made sauce. Berry popsicles for dessert! 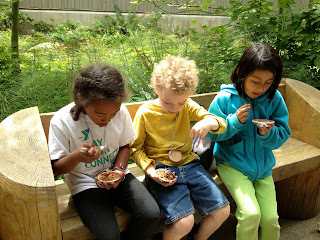 The sauce was so yummy, our campers needed to eat every last drop! A container filled with wild strawberries, huckleberries, salal berries and trailing blackberries. 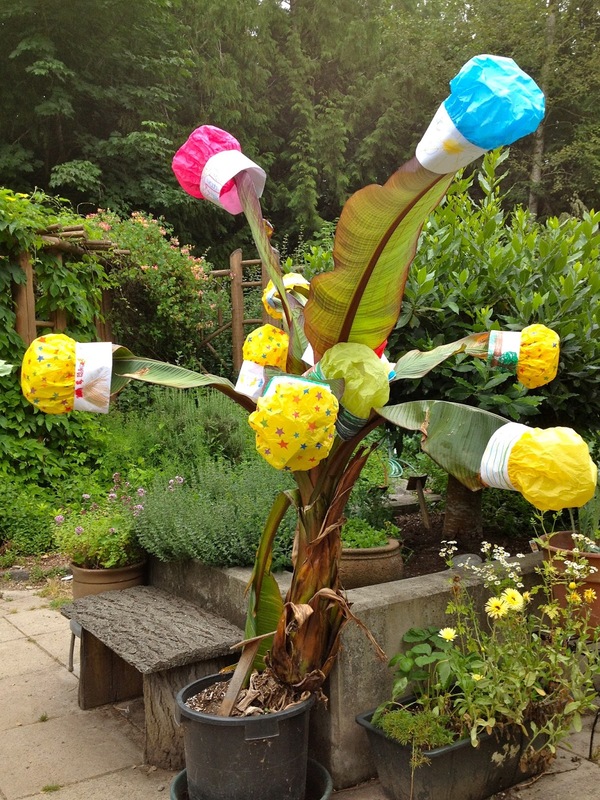 Our Banana plant, spending the summer out of the greenhouse, sported our Nature Chef's hats on the last day! Thank you Nature Chefs for a very fun week. Keep on cooking! Very useful and so peaceful blog for us. Such a good work and so good write up.